6459 Bluffmont Point, Colorado Springs, CO 80923 (#8628061) :: Fisk Team, RE/MAX Properties, Inc. 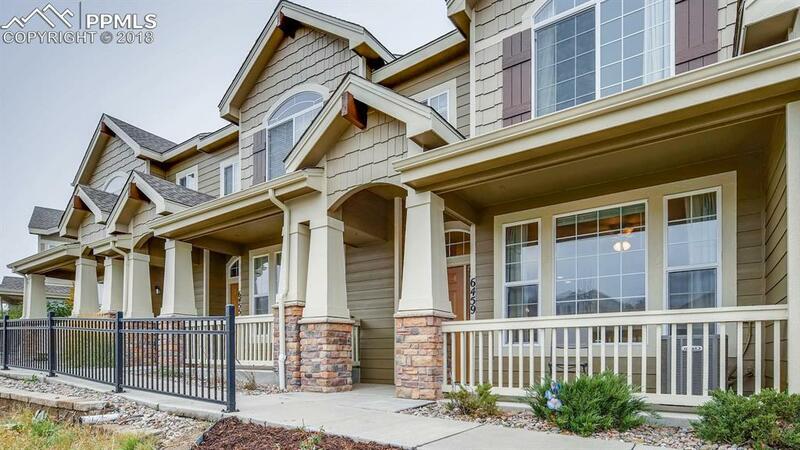 Fantastic Townhome conveniently located near Powers Corridor shopping, dining and entertainment! You will surely be impressed by this bright and open floor plan. Featuring built in shelving surrounding the elegant fireplace, the living room is an inviting space to entertain family and friends. The kitchen boasts upgraded cabinetry, custom tile back splash and stainless appliances. Upstairs provides a tranquil retreat to relax and unwind. The Master Suite offers soaring vaulted ceilings and luxurious soaking tub. Stunning! DonÃ¢â‚¬â„¢t miss your opportunity to own this fantastic home!